Photos by Walter McBride/Retna Ltd.
Laura Benanti joined the elite Sardi's wall, surrounded by family and her GYPSY co-stars. 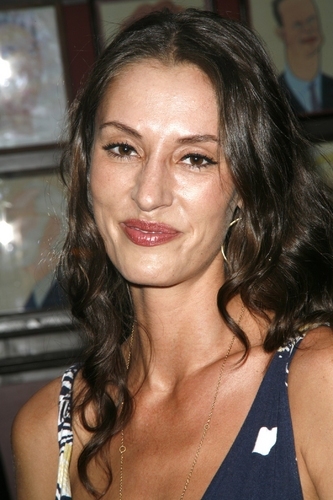 Laura Benanti is currently starring as 'Louise' in Gypsy. Other Broadway credits include Julia in The Wedding Singer; a 2003 Outer Critics Circle nomination for her role in the revival of Nine opposite Antonio Banderas; and Tony Award, Drama Desk Award, Outer Critics Circle Award, and L.A. Ovation Award nominations, for her role as Cinderella in Into the Woods. She received her first Tony Award nomination in Swing!, and made her Broadway debut at the age of 18 as Maria in The Sound of Music, opposite Richard Chamberlain. Her Off-Broadway credits include Time and Again for the Manhattan Theatre Club and Wonderful Town for City Center's Encores! series. 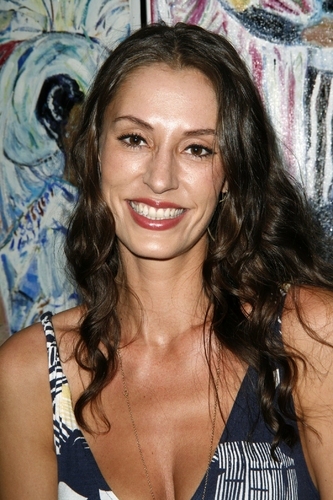 Benanti performed the role of Anne in A Little Night Music at the L.A. Opera House and starred as Perdita in the Williamstown Theatre Festival's production of The Winter's Tale. Film credits include Tina in Take the Lead and Princess Alexandra in Falling for Grace. Her television credits include a recurring role on the ABC series "Eli Stone." She was also a series regular on FX's critically acclaimed series "Starved." Laura lives in Manhattan with her husband, actor Steven Pasquale and continues to study voice with her mother, Linda Benanti. For More information visit www.LauraBenanti.com.